Family Guy online game download is a video slot designed by IGT. It borrows its composition from the animated television show of the same name. All the characters from the popular long-running series feature as icons for the various symbols in the slot. The lowest amount that can be gambled in the family guy online game download is 50 cents while the highest is $1,500. The game has a progressive jackpot which can run into millions of dollars making the game a lucrative option for those looking to make a killing. The game is available at real casinos or online. It is also available on smartphones and tablet computers that run on Android or iOS software. The game possesses some features as shown in the Family Guy online game download below. The slot’s World bonus lineament is accessible whenever a ‘WORLD BONUS‘ icon appears in any of the three central reels. A globe appears which the player spins to get a reward of one of 3 other features; Lois’ Hot spins, Chicken Fight extra feature and the Drunken Clam feature. Gamblers play the feature by selecting a character that will multiply the amount in the player’s possession. The multiplier’s range is from 25x to 1000x. The feature is initially at 1x which rises as the icons not chosen fall. The beer bottle icon comes with a multiplier of between 5x and 750x. The highest paying selection is the ‘ALL WIN’ tap which combines the values of all other taps. This feature remains active until the selected character collapses or is the only one left standing. The player gets ten extra turns in this feature. One of 4 features is selected and placed at the bottom of the screen. When the player gets a heart symbol during the spins, the heart symbol occupies one of 3 spaces next to the selected symbol. When all three spaces are filled, the selected symbol becomes a sticky wild. This means that it remains in any place it appears on the reels for the duration of the free spins. The selected symbol can also replace any symbols except the heart and Giggity Retriggity symbols. The Giggity Retriggity symbols award the player with five more free spins when they appear. Select the Peter icon or the Giant Chicken icon for three fight rounds. If your character wins, you get a maximum of 7 selections in each round. You will then get some reward bags dependent on the number of picks you get. These bags contain multipliers ranging from 5x to 1000x. The three rounds have a multiplier which is initially at 2x and can increase to 5x in the final round. It is activated when no bonus feature appears on the 2nd reel during the regular spins. 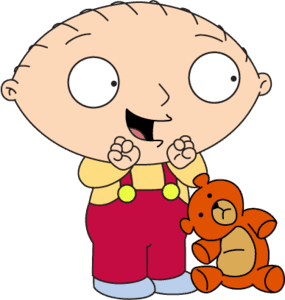 Its reward is to play Family Guy online game download, based on Peter, Lois, Stewie, and Brian. 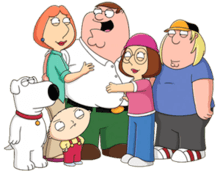 The cartoon-themed family guy online game download is available on multiple devices thus it can be played anywhere and at any time. It features numerous bonus features on top of a progressive jackpot that offer players chances to get many high winnings from the game.